Today laser die cutting machine is widely used for die board making. Now let’s talk about its advantages and disadvantages of it. It is easier to keep the workpiece in the right place. The short cuts obtained by laser die cutting do not take a long time and are very accurate. Compared to traditional manual saw table, the entire cutting process is easy to achieve. The workpiece does not have direct contact with the cutting tool, reducing the risk of contaminating the die board material. 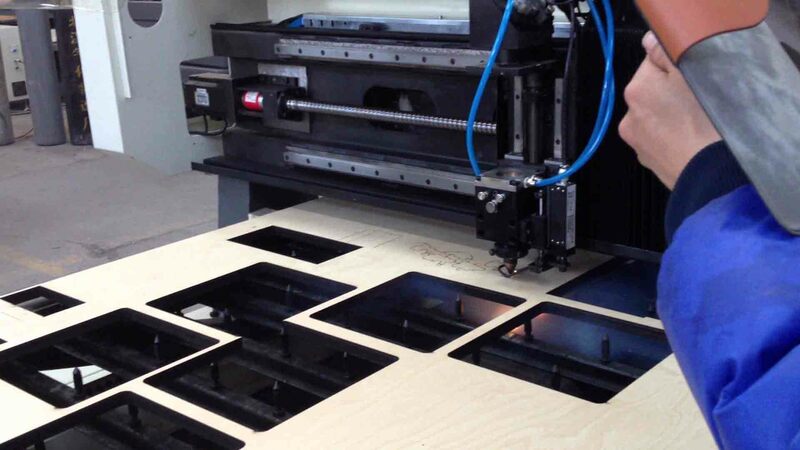 Laser die cutting technology can be used to cut a variety of materials such as wood, PVC, plastics, MDF board and aluminum plate etc. Laser die cutting technology is very flexible and can be used to cut or burn simple to more complex die board designs. One or two laser die cutting machines can be used for the work of several other cutting machines. The laser die cutting process is easily controlled by a computer program, which makes it very accurate while saving a lot of work. Since laser die cutting machines do not require manual intervention, the frequency of injuries and accidents is very low except for inspection and maintenance. Laser die cutters have a high level of efficiency and the required design replicas are exact copies of each other. Efficiency and power consumption depend on the type of part that needs to be performed and the nature of the laser. Laser die cutter generally has a high energy consumption. Laser die cutting of plastic parts can be expensive because plastic emits gas when exposed to heat. For this reason, laser die cutting machine service providers should have well-ventilated rooms, which are quite expensive. Moreover, the gases released during the cutting of plastics can be harmful and toxic. The production speed is inconsistent. It all depends on the type of die board material used, the thickness of the die board and the nature of the laser cutting. The die board kerf is not precise, carbonized surface and bell mouth of the kerf due to hot laser cutting. The blade will drops out easily after some using time. The laser die cutter owns complicated configurations, it costs too much for the maintenance & repair for these machine system. Why not Yisong die board sawing machine ? Yisong Environmentally friendly die board sawing machine is the automatic processing equipment and without laser. It can saw-cut 18 mm die-board at one time and the kerf has the advantages of high precision, high verticality and high clamping force. During the processing have no black edge, no smoke and toxic gas. This is machine is not only eco-friendly and high precision,but also very cost-saving and energy-saving.